(AP) - Minnesota Senate President James Metzen was fined and ordered Thursday to perform community service for his drunken-driving arrest that happened just hours after the Legislature ended its yearly session. Metzen, the long-serving Democratic lawmaker, pleaded guilty to driving while intoxicated and was sentenced in Dakota County District Court. He must pay a $300 fine, plus $77 in surcharges, and perform 20 hours of yet-to-be-determined community service. He also got a year of probation, but no jail time. 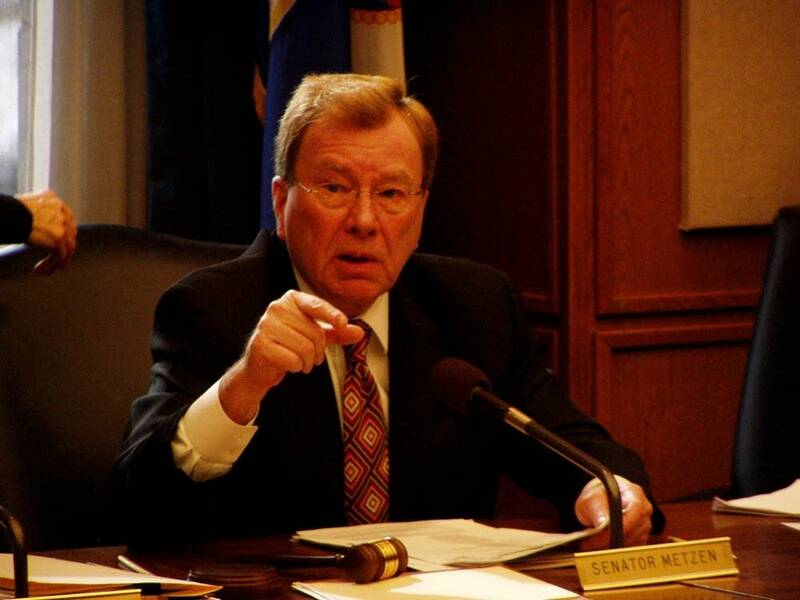 Metzen, a 33-year veteran of the state Legislature, has been Senate president since 2002, a post that puts him in the line of succession for governor. He is a bank vice president from the Twin Cities suburb of South St. Paul. His hearing before Judge John Weyrens lasted about five minutes. Metzen was arrested in the early morning on May 22 after an officer saw him weaving in his lane. Police measured his blood-alcohol concentration at 0.15 percent, almost twice the legal limit of 0.08 percent. Metzen's attorney, Paul Rogosheske, disputed the blood alcohol content that the police test showed, but a private test still showed that Metzen would have been over the legal limit at the time of his arrest. Metzen, 63, said the arrest was an embarrassment and apologized for his actions. He has insisted that the drinking occurred at a hotel bar near the Capitol and not while lawmakers were in session. "We have learned a lesson," he said. He added: "I'm very sorry for what happened, not so much for myself but I guess for my friends and family who feel really bad about it, and my colleagues in the Minnesota Senate. I kind of let them down." Metzen had a chemical dependency assessment after the arrest, but wouldn't reveal the results. Jo Baker, who is active in Minnesota's chapter of Mothers Against Drunk Driving, was in the courtroom and said later that she though Metzen was "getting off a little easy." "This is a gentleman who should know better and who certainly understands the perils, the dangers, the safety issues that we put people in when we drink and drive," she said, adding, "The first offenses should be much harsher because maybe then people would not reoffend." Rogosheske disputed the notion that Metzen received a light punishment. Most first-time offenders aren't required to do community service, he said. "He actually got punished harder," Rogosheske said. Rogosheske said the arrest has already cost Metzen far more than the fine that was imposed. He said the senator paid $1,500 for his psychological assessment, $700 to get his license reinstated and owes $230 in probationary fees.